How to be a Writer in the E-Age… And Keep Your E-Sanity! 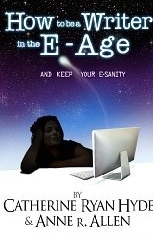 I read How to be a Writer in the E-Age… And Keep Your E-Sanity! < http://howtotellagreatstory.com/2012/10/how-to-be-a-writer-in-the-e-age-and-keep-your-e-sanity-by-catherine-ryan-hyde-and-anne-r-allen/> by Catherine Ryan Hyde and Anne R. Allen last year and I’m thrilled to see what their first updated version will be like, to be released in e-book form soon. The title of their book is right on the money. I had the wonderful opportunity to interview both ladies on their collaboration on this project, and their warmth and generosity shines. They will also teach a workshop on the subject: < http://digitalageauthors.com/> The Tech Savvy Author, with local radio personality Dave Congalton, set for March 2nd in San Luis Obispo. That’s a bit hard to quantify. There’s a special feeling that goes with one’s “calling” in the world. It’s not easy to put words to it, but I know it when I feel it. It feels like a sense that I’m more sane, more “me,” when I’m doing the work. I think at the heart of things writing is a type of communication. Under the surface of how it feels at the time, I probably write to feel more a part of things, to feel I’m not on my own little planet all alone. That captures it perfectly. What inspired you to collaborate with Anne R. Allen on How to be a Writer in an E-Age… And Keep Your E-Sanity? I’d been wanting to do a nonfiction book for writers for many years. I felt my struggles and my rejections had given me stories to tell, stories that might help other writers take heart. But then the industry began to change so fast. And because I had an agent and a publisher, I realized I was out of touch with the experience of the modern struggling writer. I knew the feelings, and the courage needed, but the details had changed. So Anne’s and my collaboration was made in heaven, I think, because she is so on the cutting edge of the rapid changes in our industry. I felt that our two perspectives would come together to create a complete package. It certainly felt complete. I enjoyed your sections on editing. How has your experience as a professional editor shaped you as a writer? I think it’s made me very detail-oriented, and very aware of how much grammar, punctuation, and even neatness count. It’s also helped me put rejection into perspective, because I know some of the reasons a writer’s work is rejected. They are often far less a reflection on the quality of the work than we tend to imagine. Yes, sometimes the best way to learn is to be in someone else’s shoes. You’re also a teacher—you’ve taught at various workshops and conferences. What was the most rewarding aspect of that experience? All of teaching feels rewarding to me. Which is good, because if the constant struggle of making a living in publishing is ever too much for me, teaching gives me a soft place to land. I think the best part is when I’m told—or when I can see—that a student has left my workshop more inspired, with a new sense of enthusiasm toward his or her own work. What did you find most students struggling with? Story arc—the idea that something needs to happen, that characters need to evolve, that the end must carry that comfortable sense of resolution. Some have trouble with character depth. It pays to know yourself deeply, because it’s unlikely your characters will be deeper than you are. And then on a smaller scale, I see people struggle with the finer points of grammar and punctuation. We all went to school, but many of us did not do so recently, and what we haven’t used in the meantime we lose. So it’s essential that writing students brush up on their English. Something we’re always learning, it seems. Do you recommend any books on that subject? I’m a big fan of The New Well-Tempered Sentence: A Punctuation Handbook for the Innocent, the Eager and the Doomed by Elizabeth Gordon. You can tell by the title that it doesn’t take itself too seriously. A sense of humor is helpful when reviewing punctuation. The book has been around since I was brushing up, but is still available in paperback. I also like Eats, Shoots & Leaves by Lynn Truss for the same reason. You shared many rejection stories with us, and I loved your section about defining success. Could you share with us some stories of your recent successes? You’ve just published a new book The Long, Steep Path: Everyday Inspiration from the Author of Pay It Forward and over the last couple of years have published several books, including Jumpstart the World, When You Were Older, Don’t Let Me Go, When I Found You, and Second Hand Heart. The biggest two successes have been the US indie editions of When I Found You and Don’t Let Me Go. When I Found You went on a 5-day free promotion last March. Over 81,000 people downloaded it in those 5 days. After the promotion it rose to #12 in Kindle paid. The combination of the free downloads and subsequent sales gave it a popularity ranking of #3 in the Kindle Store, #5 on Amazon as a whole. For a couple of days it was hovering between two Hunger Games books on the Kindle home page. Amazon Publishing took notice, and will bring it out this March under the Amazon Encore imprint. Later we put Don’t Let Me Go on a 2-day promo, and over 60,000 copies were downloaded in just that short time. It didn’t go as high in Kindle Paid as When I Found You. I think its top number was #34. But its numbers have stayed high longer, so we have actually sold more copies of Don’t Let Me Go. And, by the way, Don’t Let Me Go has broken my record for both quality and quantity of Amazon reader reviews. The previous record holder was Pay It Forward, with 202 reviews accumulated since late 1999, 126 of which are 5-star. Don’t Let Me Go has garnered 232 just since June, 176 of which are 5-star. So that feels like a great outcome to me, especially since these are indie editions. Awesome! How do you manage the organization of the myriad of activities required to be a successful writer in this E-age? I’m not sure organization is the right word for it, at least in my case. I think with networking and promotion, as with the work itself, I tend to run on inspiration. Sometimes I get more done than other times, but it works out in the end. Then people say I’m disciplined, which never fails to make me laugh. Fortunately, just as I love the communication of writing a story or novel, I also love the communication of daily social networking. So it tends to drive itself, which is good. Because, like most writers, I do have two left brains. Your advice on marketing and social media is extensive in How to be a Writer in an E Age… And Keep Your E-Sanity! What would you say is the essence of any successful marketing campaign? Human relationships. People buy books by authors they feel they know. So it’s always about making connections with readers. Asking a bunch of relative strangers to buy your books in one non-personalized posting has never enjoyed much success. You keep in touch with people all over the world, and you’ve been published in the U.S. and the U.K. What are the primary differences between working here and across the pond? At first I thought UK readers were more receptive to literary fiction, but then those same novels took off here in the U.S. as well. So now I think reader tastes are more or less the same on both sides of the pond. For a time the biggest difference was that the US industry was falling apart at the seams, so I was quite dependent on the more intact UK market for my income. Now the US market is stabilizing and many of the troubles we’ve just come through are hitting over there. It’s been an interesting—albeit troubling—process to watch. That’s neat that you’ve had such a range of experience with various publishing houses, and also with different avenues of publication–from indie presses to working with the Big Six. Please share with us what the publication process has been like for How to Be a Writer in the E-Age… And Keep Your E-Sanity. At this point I’m what the newly-changed industry calls a hybrid author. I have traditionally published books and independently published books. And in How to be a Writer in the E-Age…And Keep Your E-Sanity! I have a book published under the third model, the new breed of small publisher. The difference for me is that I do far less work than I do for the indie books, yet I get more control than I did with traditional publishers. There was quite a lot of checking and proofing of the various drafts of the formatted work, and of course an author always has to promote, but on the whole it’s been an easy path for this book. As publishing paths go. Your book is full of useful advice for writers (new, seasoned, and every shade between). If there was one thing that you wish you had known when you had just started out as a writer, what would that be? I wish I’d know that rejection didn’t mean what I thought it did—that it didn’t mean my work wasn’t good, or even necessarily that the editor who rejected it thought it wasn’t. I wish I’d known that rejection didn’t mean that the same editor wouldn’t publish another of my stories or novels, or, in one extreme example, even the same one. Rejection is never easy, but if I’d known it was often not a true reflection of the work, I might have saved myself a lot of grief. Which is why I share so much about rejection in the book. Just that writers need to stick together. It’s a very tough business. People tell you to thicken your skin. I’m not saying it’s bad advice. But sometimes you will need to tend your own wounds. This is what Anne and I hoped to achieve with How to be a Writer in an E Age… And Keep Your E-Sanity! We really do want to help other writers feel more supported, more balanced. More sane. That about sums up how I felt after reading it, so thank you. How to Be a Writer in the E-Age… And Keep Your E-Sanity! covers many areas from getting started, learning to determine when one is a “real writer”, rejection, working with editors and agents, navigating social media, working within critique groups and making the most out of the various types of feedback, maximizing the value of writer’s conferences, the protocol for handling cyber bullies and trolls, querying, defining one’s genre, learning to self-edit, overcoming depression, writer’s block and self-doubt, and several aspects of getting published, including knowing when to go traditional or self-publish, and what to expect after publication (which was quite enlightening). How did you divvy up the sections between you and Catherine? It happened kind of organically. We have different fields of expertise–I’ve been with small presses and Catherine has experience with the Big Six and self-publishing, so things fell into place very easily. I don’t remember having to decide. Things just happened. The pacing of the book is perfect, balanced between your voices. How did the writing process go? We got together about once a month to outline and plan what we wanted to say, then wrote the pieces and emailed them back and forth. Once we met at my house, but Catherine’s a vegan, and a great cook, so mostly we met at her house and brainstormed over a great vegan meal she prepared. She lives about a 45 minute drive up the coast from my house—a gorgeous drive. No wonder the overall tone of the book is so warm, what a great atmosphere to work in! As part of the initial price for the e-book, you offer free updates every six months, to ensure the guidance remains current. Your first update is set to be published this week. What is your process for updating the book? I perused all my entries in the book and saw some needed to be completely re-done. That took some research. But for most I just had to tweak a few things. We kept some of the references to the “Big Six” publishing companies, although I explained they’re now the Big Five-or-maybe-Four-and-a-half. How does this work for those who purchase the paperback; do they get access to the updates in a way, either by supplemental pages emailed to them or by receiving a discount on the e-book? No. Our publisher really couldn’t afford to do that. It’s just the e-book that has free updates. That’s an amazing deal for a $2.99 e-book. As an author known for your comedic mysteries (The Camilla Randall series) and your comic thriller (Food of Love), I welcomed your treatment of the various subjects of writing in How to Be a Writer in the E-Age… And Keep Your E-Sanity! What is the value of humor in writing? I’ve always loved books that made me laugh. I loved reading P.G. Wodehouse and Angela Thirkell when I was in high school—my parents had a great collection of British humorists. And I loved Kurt Vonnegut, who has dark humor in all his books. As different as they are, I think they all influenced my writing. Also, I was in the theater for many years and I learned how to engage an audience by making them laugh, and I transferred it to my writing. I didn’t do it consciously, but the humor always creeps in. I enjoy the humorous touches in your posts. Your blog http://annerallen.blogspot.com/ was named finalist for “best publishing industry blog” by the Association of American Publishers and one of the “Top 50 Blogs for Authors” by TribalNation.com, and your section on blogging was extensive in the book. What would you say is the essence of a successful blog? Every successful publishing blog is successful in a different way. Joe Konrath’s can be hard-hitting and no-B.S. Kristen Lamb’s is chatty and girly and funny. Chuck Wendig’s is R-rated and raunchy. But they have three things in common: 1) They’re “you” oriented instead of “me” oriented. 2) They give great information. 3) They have strong, honest personal voices. I think those are the most important elements of a great blog. 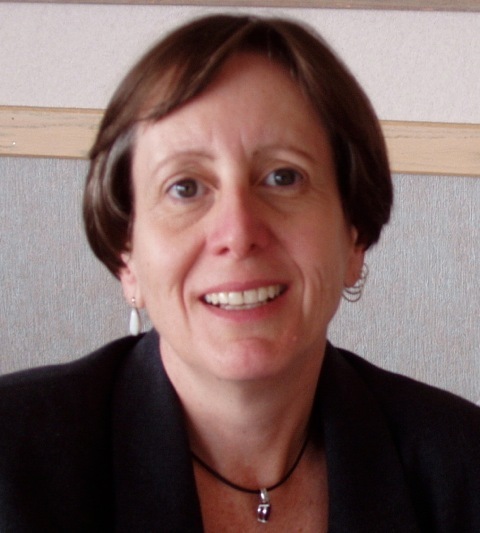 How did you arrange for Ruth Harris to co-blog with you? She made long comments on my blog a lot—and they were so useful and insightful. I told her she needed to have her own blog and kept hammering her about how we all needed her expertise. (How many people have been on the NYT bestseller list AND edited for a Big Six publisher?) But she didn’t want to make the time commitment. So I asked her if she’d like to be a regular guest on my blog. She jumped right in. She’s finally started her own blog< http://ruthharrisblog.blogspot.com/>—mostly with links that make great writing prompts, but she’s branching out with some great new features, like “The Story Behind the Story” guest posts from authors talking about what prompted them to write their novels. I think that’s going to be a lot of fun. I will have to check that out. What about writing do you most enjoy? The sheer act of creation. When the kernel of an idea starts sprouting into characters and scenes and the people come to life on the page and start doing things I don’t expect. I never know where a book is going to go and I love watching the whole thing unfold. I appreciated your insight into the subject of depression and creativity. You covered the importance of remaining centered, but what are the ways you personally find balance? I’m not always good at that. But I try to walk every day and take time to meditate and be in my body instead of living in my head all the time. I love to go out and listen to music and dance. I love roots and world music. We live in a great area for it. Sounds lovely. What is your favorite motto? I’m so grateful to Catherine for partnering with me on this book. I was an out-of-print writer without much of a future when we first came up with the idea of a book. She took a chance by linking her name with a relatively unknown author. Since then, I’ve got a publisher who now has published six of my mysteries. If I was going to pick a moment when my career started to come back to life, I’d say it was that lunch when we came up with the idea of a book on “the care and feeding of the writer’s psyche”—and I’ll be forever grateful to Catherine for that. We’ll be forever grateful to the two of you, for writing (and maintaining) such a heartfelt, comprehensive and knowledgeable book.